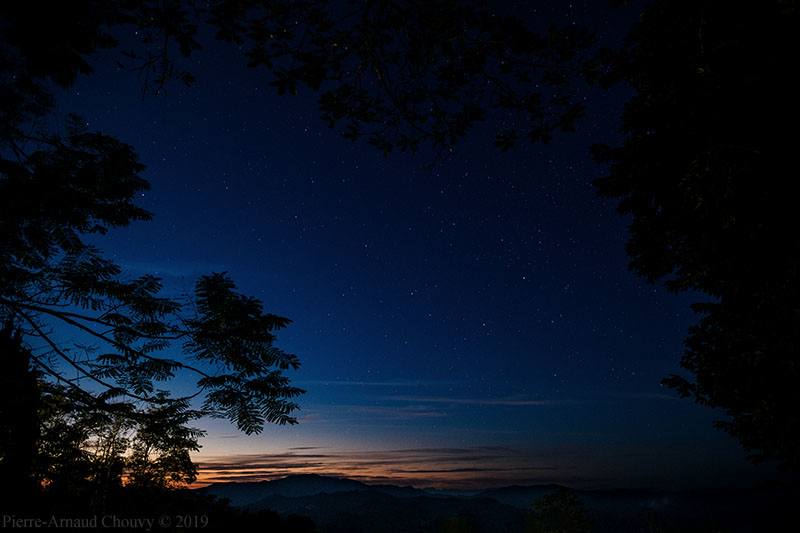 ENG: Nightscape in Doi Tung, overlooking Burma’s mountains. Chiang Rai Province Thailand. FR: Paysage nocturne à Doi Tung, en direction des montagnes birmanes. Province de Chiang Raï, Thaïlande.